She is a 5 year old girl. Her mother is a stay at home mom, her father is an electrician. She has relatives who have being involved in gangs before. 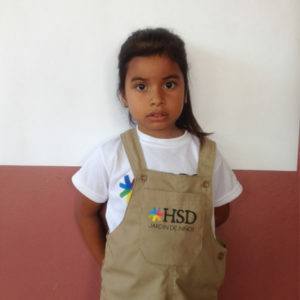 Her parents are volunteers for cleaning at HSD.